Whether you’re someone who has been drumming for years or you’ve just picked up your sticks, it’s important that you have the right equipment whenever you sit down. Otherwise, you could be the next John Bonham, but never truly reach your potential. One important piece of equipment every drummer needs to invest in is headphones. With the best headphones for drumming, you may not inherit Bonham’s crown, but you’ll definitely stand a much better chance. These in-ear headphones will run you just over $100, but are well worth the price tag. Their sound quality is great, plus they bring 35-42 decibels of attenuation to the table. The frequency response on these bad boys is 20Hz to 16kHz too. One of the nicest parts about these headphones is the four foot cable they come with, because the last thing you want while drumming is to knock the wire out so your headphones come off or become unplugged. These full-size headphones are in the same price range as the Etymotic HF5s or a bit cheaper. Speaking of chords, you’ll get 10 coiled feet of them with this model. Amongst other things, this makes it easy to drum in a studio or on stage where you may not have the jack nearby. Like all quality full-sized options, one look at these will tell you how comfortable they are. You can also replace the cup pads, too, which ensures you may never need a new pair again. If you’re willing to go up about $100 on the two above models, you’ll find that these headphones have a lot of nice advantages. Despite all the benefits they packed into this model, though, they only weigh five pounds, so you can play for hours without feeling any discomfort. The capsules on these can be rotated as well, giving you the opportunity to keep one ear open to the world around you. Finally, if you have the cash to spend, the Etymotic ER-4P may be some of the best in-ear buds on the market right now. While they cost nearly $300, nothing isolates noise s well as they do. Keeping the outside world at bay is also how you reduce the chances of you accidentally damaging your eardrums by listening to music at unnecessary levels. So if you’re used to drumming hard, while surrounded by a lot of other noise (e.g. at a live venue), the $300 may be a good investment in your future hearing. 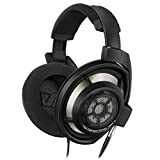 As we mentioned, at the end of the day, there are no best headphones for drummers, but instead, it will come down to your budget and what exactly you need. Nonetheless, the above advice should have you headed down the right path where this important decision is concerned. Let’s start with the basics and cover why hearing protection is so essential to drummers, no matter when they began playing. When a guitarist hits the strings of their instrument, not much happens in the way of noise, even an acoustic. Electric guitars will send a signal to a speaker that may blast out several decibels of noise, but it won’t happen right next to them. On the other hand, when a drummer starts banging away, the noise is immediate and can do real damage to their hearing. Just six inches away, the average rim shot on a snare drum is measured at 135 decibels. That’s a serious amount of noise, to say nothing about what happens when you start adding in all the other noise from a concert or session. Although some drummers experience immediate pain and suffering from the noise level around them, many play for years and years before they realize the permanent damage they’ve caused themselves. However, with today’s headphones, you can both protect your ears and regulate the amount of noise they let in. Obviously, you don’t want to mute the world around you or it will throw off your tempo and make it impossible to play at your best. This is why wearing old-fashioned earplugs is never the solution. Learn more about sound isolating and noise cancelling headphones. Another modern benefit is that you have two different types of headphones to choose from. There are the kind that put buds in your ear (“in-ear”) and the traditional kind that go over and around them (“full-size”). Which version will work best for your needs is purely a matter of preference. 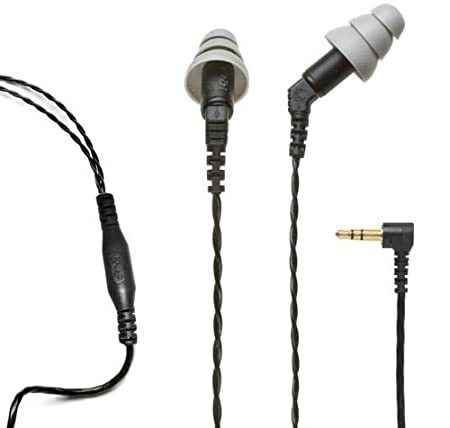 However, many people prefer the in-ear versions. They find that these models do a better job of keeping sound out, while still providing the music you need to hear. That being said, if you’re more concerned about being able to listen to music, the kind that slip over your ear are usually going to be best. For some, these versions also just feel better too, making them an obvious choice. Read more about different types of headphones here. Now let’s talk about sound performance. Aside from protecting your ears, this is obviously a very important aspect of the headphones you decide on. One major misconception we should address right away is that headphones with thick bass are automatically high-quality. This assumption seems to be based on the fact that low-end headphones tend to have awful bass. However, for our purposes, drummers should look for headphones that offer a flat, balanced and neutral sound. This will ensure that the sound you hear is the genuine article and not something that technology has tampered with before sending it to your eardrums. While you may need a higher volume while you’re playing, this isn’t the job of bass to do. 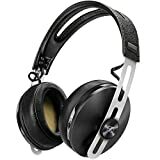 You will find no shortage of headphones on the market that will meet the credentials set forth above. And, of course, many will claim they are the best headphones for drumming available or at their price, etc. To help make this important decision a bit easier on you, we at soundencore.com give you some recommendations that you can rest assured will get the job done.